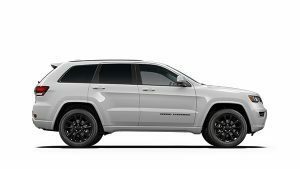 Introducing the Grand Cherokee 25th Anniversary, marking 25 years of the Jeep® Grand Cherokee. Step up to luxury with distinctive 20-inch heritage wheels, platinum chrome exterior accents, beautiful heritage seats and so much more. Designed to bring sophistication to each and every detail, the Grand Cherokee 25th Anniversary is something to appreciate. 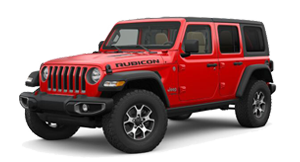 A bold exterior design with platinum chrome accents and expertly crafted details instantly captures attention. In the Grand Cherokee 25th Anniversary, opulent design is evident at every turn. With real metal interior accents, heritage perforated seats with decorative stitching and a Uconnect® Infotainment System with 8.4-inch touchscreen, Apple CarPlay® and Android Auto™, enjoy every premium detail. The Blind Spot Monitoring System with Rear Cross Path Detection alerts you when a vehicle enters your blind spot zone. Sensors scan approximately one lane over on each side. When a sensor detects a vehicle in the blind spot zone, it alerts you with an illuminated icon in the corresponding exterior mirror and an audible chime. When backing out of a parking space, Rear Cross Path Detection scans for vehicles crossing your path and alerts you with the same illuminated icons.